Rifle scopes have become very important devices among hunters and tactical shooters. This is because they help you to achieve precision and accuracy when you are aiming at your target. Whether you are a serious hunter or simply having fun at the range, you want to ensure that you hit anything that you aim. This is where zeroing a scope comes in. Zeroing a scope can vary from one rifle scope to the other. This is because there are different types of rifle scopes and some might require some specific instructions when it comes to zeroing. I have prepared this guide to provide you with general tips on how to zero a rifle scope. If you find that your scope doesn't fall in this guide, you can refer to the instruction manual to check whether there are some specific instructions on how to zero it. What Is Zeroing And Why Is It Important? If you are a beginner, you might not be familiar with some rifle scope terms. 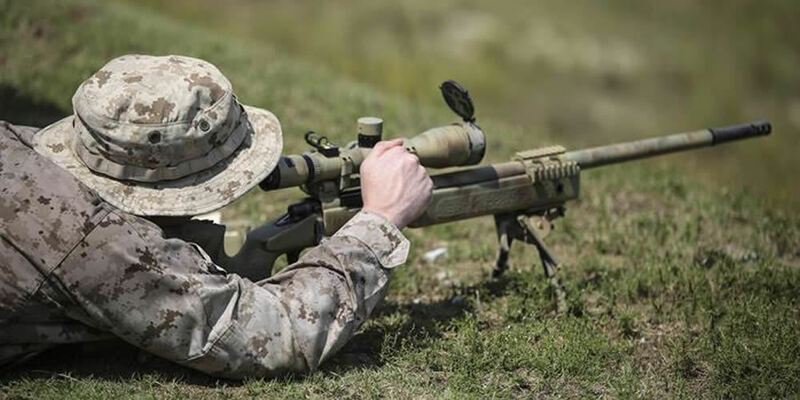 Zeroing a rifle scope refers to the act of aligning your target object and where the bullet fired by your rifle will actually hit at a specific distance. This means that you need to adjust your scope so that the projectile will impact at your aim point. It is important because it helps you fire a shot at a distance you know so that you can hit your target accurately. You will know that a rifle scope is zeroed if the bullet actually hits exactly where you put the crosshairs or aiming reticle. Before you begin zeroing your rifle, it is important to ensure that you know how to adjust your scope as provided in the manual. Knowing how to zero your scope is important. I will take you through some crucial tips that will help you zero a rifle scope. The first thing that you need to do is to install your rifle scope correctly. If your rifle scope is not installed the right way, then it will not be possible to zero. Scope installation can vary depending on the scope rings or mount setup. Always make sure that you follow the instructions that are provided by the manufacturer. You should know that when you are zeroing your scope to a rifle, you are also zeroing it to particular ammunition and this is what is called a load. There are several factors that can change a load like velocity, length, projectile type and bullet weight. Zeroing a scope to a certain load of ammunition, you will get the most precise load for the scope. If you are a precision target shooter or a hunter using a variable scope, it is great if you select one ammo type and stick to it throughout your hunting or target shooting. What do you want to aim? The good thing is that you can zero a rifle with any target. The best targets to use are the one that are designed for bullseye shooting which are divided into grids. They help the shooter to adjust the scope depending on how many inches it is away from the bullseye. You can easily find these targets in gun stores or sporting good stores. Another important thing that you should remember is that when you are hanging the target, have a larger material behind the target. The material should be blank so that it will be easy for you to know if you are hitting your target. After finding your target, back up around half the distance that you want to shoot the rifle at. The next thing is to set up a shooting position. If you want to it accurately and precisely, you can use a bench rest, gun vise or a sled to hold your weapon. Regardless of what you choose, make sure stabilization is your priority. You need to have a very stable platform so that you can zero your rifle scope. Once you have identified a stable position, the next thing that you need to do is to start zeroing your rifle scope. If you are using single shots, bolt actions or AR style rifles, you just need to remove the bolt and then separate the action then look down the barrel. You should then adjust your rifle until the barrel is in a relative line with the target. You can stare through the barrel then the scope. If you find your scope is off the target, then the view between the barrel and the rifle scope will be different. When using other rifle designs, it can be very difficult to look through the barrel. This is where shooter makes good use of laser bore sight. This is a device that fits well to the chambers of the rifle and the sends a laser directly down the barrel. You then need to adjust the scope to a point where the reticle covers the laser on your target object. This will help you minimize time and the ammunition required for optic zeroing. Load your rifle and then fire 3 rounds without making any adjustment or moving the rifle target. After completing the 3 shots, unload your rifle and then move down range to your target. Inspect your target and your 3 shots should all be in the area of a target. If you find that they are placed randomly, then there is an external problem. If you find the group is routine, then measure and then apply the measurements to your rifle scope turrets. You can then repeat the process of shooting 3 rounds and adjusting your scope to a point where the scope is striking the bullseye of your target. You can repeat the whole process until your rifle is zeroed properly at this range. Zeroing a rifle scope is important if you want to hit your target accurately. The above guide covers everything that you need to know about zeroing a rifle scope for hunting and shooting. I have provides you with a step by step guide and I hope you will have no trouble zeroing your rifle after going through this guide.